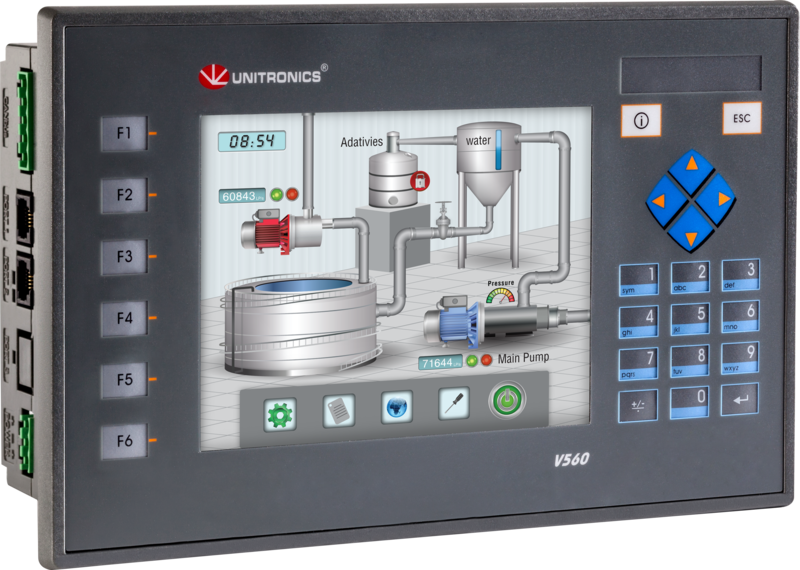 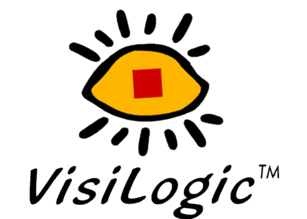 This model is based on the V570 5.7”, 16-bit Colour Touch Screen, with the addition of 24 programmable function keys including a full alpha-numeric keypad for easy data entry. 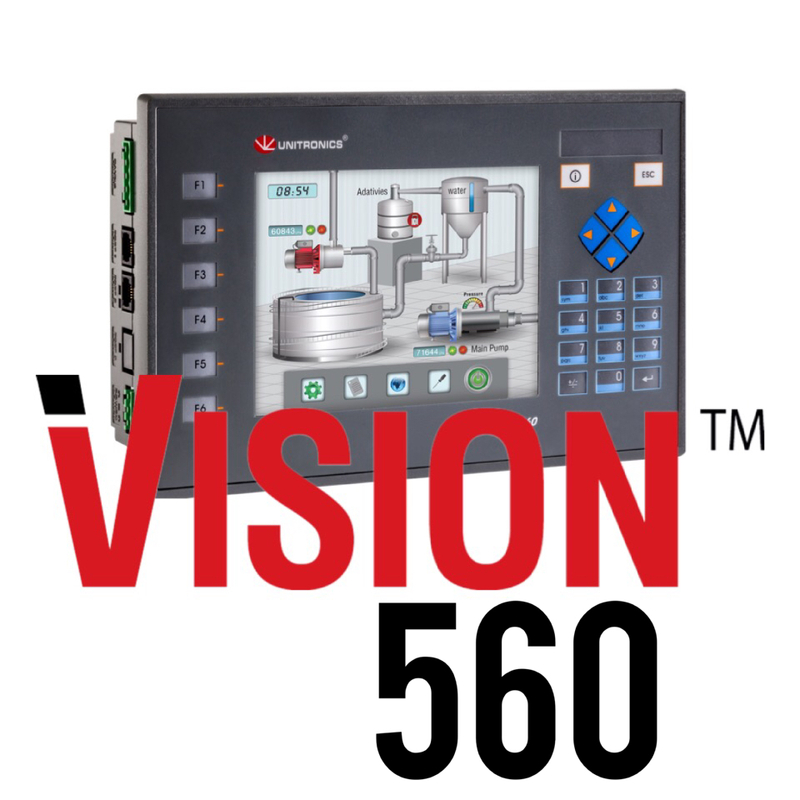 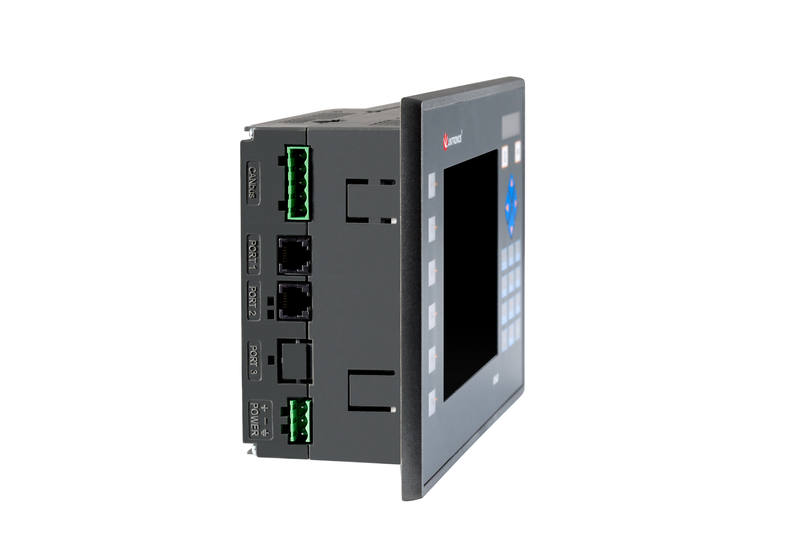 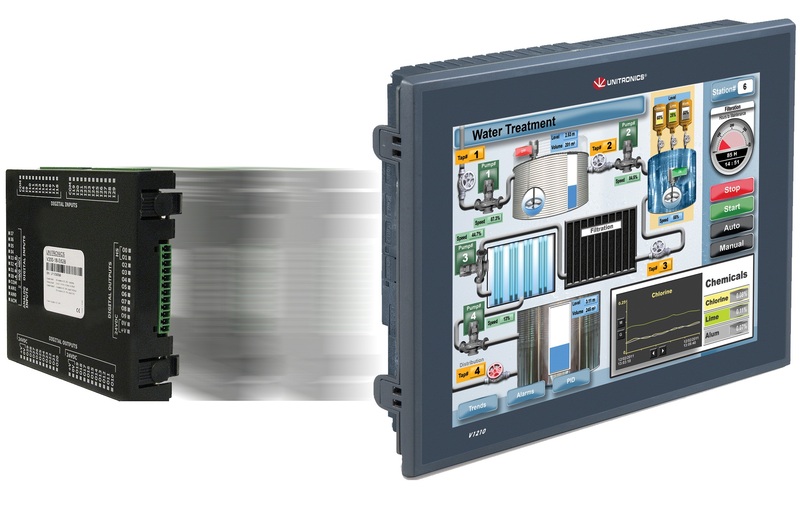 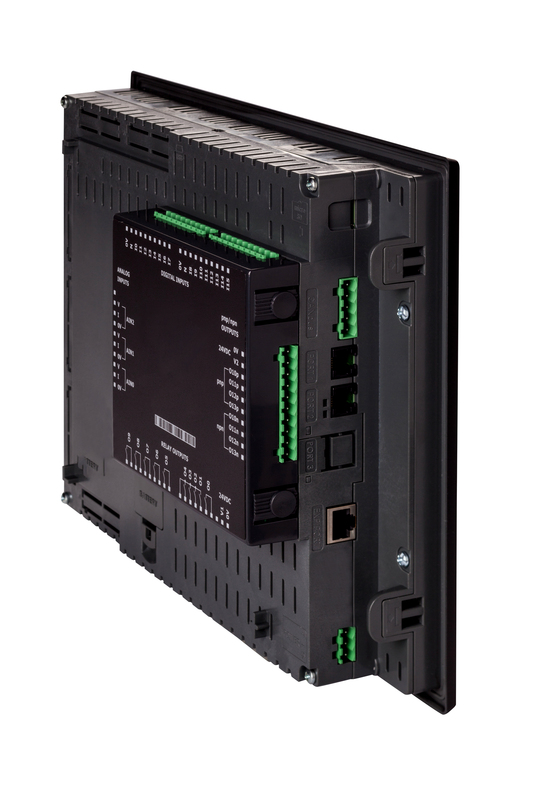 The PLC benefits from a range of built in function blocks including recipe control, third party device connection, PID, SD Card data storage, modem communications, SMS and email. 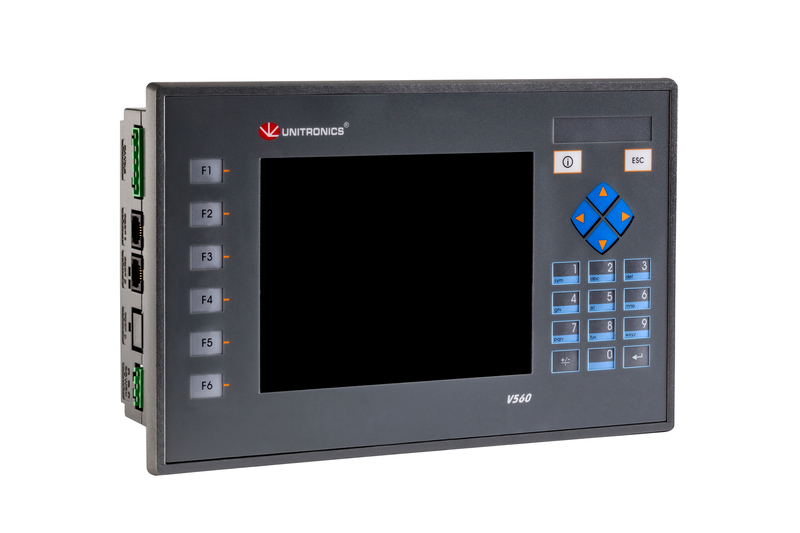 Its 5.7" 320 x 240 QVGA, 64k colour display can show more than 1000 user designed screens and supports communication via TCP/IP Ethernet, GSM/GPRS, MODBUS, DF1 and CANopen. 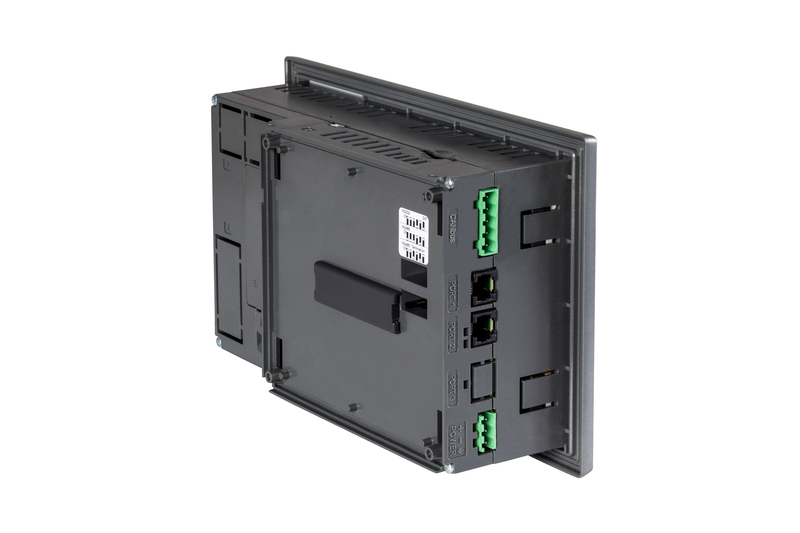 The controller’s housing is similar to the V280-18-B20B range, and uses the same cutout.